Although Charles Kenneth Scott Moncrieff’s translation of À la recherche du temps perdu is considered by many journalists and writers to be the best translation of any foreign work into the English language, his choice of Remembrance of Things Past as the general title alarmed the seriously ill Proust and misled generations of readers as to the novelist’s true intent. It wasn’t until 1992 that the title was finally changed to In Search of Lost Time. “Remembrance of Things Past” is a beautiful line from William Shakespeare’s sonnet 30, but it conveys an idea that is really the opposite of Proust’s own. When Scott Moncrieff chose this title, he did not know, of course, where Proust was going with the story and did not correctly interpret the title, which might indeed be taken to indicate a rather passive attempt by an elderly person to recollect days gone by. 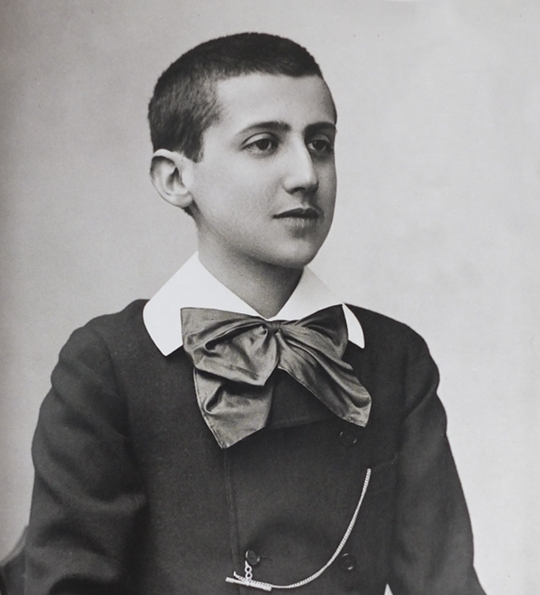 Proust’s theory of memory rejects the notion that we can simply sit and quietly resurrect the past in its true vividness through what he called voluntary memory. When we attempt to do this, we find that it doesn’t work very well. We remember very little and often only in a haphazard and rather bland way. On the other hand, Proust’s title should be taken to suggest a different approach: the Narrator’s search (recherche means both search and research in French) is an active, arduous quest in which the past must be rediscovered—largely through what Proust called involuntary memory, as demonstrated in the famous madeleine scene—then analyzed and understood, and finally, if your ambition is to preserve it in writing, transposed and recreated in a book. As we will see, Proust lived long enough to see the title Remembrance of Things Past and, while he objected to it, did not take measures to change it. 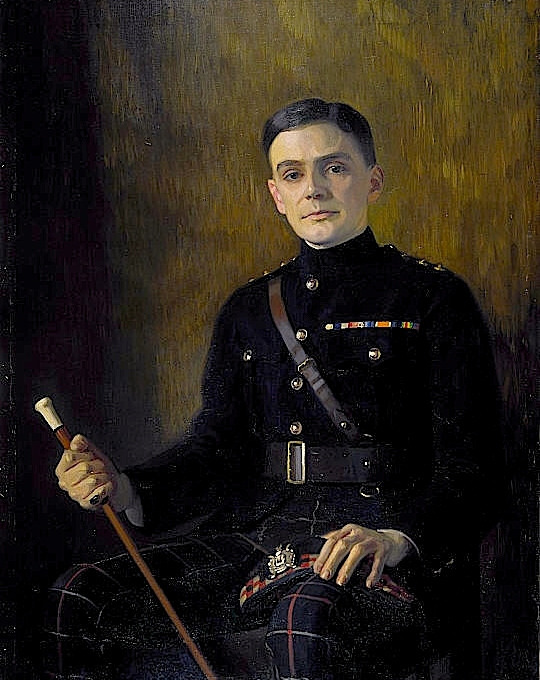 A native of Scotland, Scott Moncrieff had served as a captain in the Scottish Borderers during World War I. Before reading A la recherche du temps perdu, he had already made a name for himself as the translator of major French works, such as La Chanson de Roland (The Song of Roland) and Stendhal’s two masterful novels Le Rouge et le Noir (The Red and the Black) and La Chartreuse de Parme (The Charterhouse of Parma). After the Great War Scott Moncrieff had served as secretary to Lord Northcliffe, in addition to being an editor at The London Times. In January 1920, a thirty-year-old Scott Moncrieff resigned his post at the Times in order to devote himself entirely to translating À la recherche du temps perdu. Messers Chatto & Windus, as publishers, and Mr. Scott Moncrieff, as author, have almost ready the first installment of M. Marcel Proust’s ‘Remembrance of Things Past’ in the English translation. The title of this initial volume is Swann’s Way. Schiff, who had long thought he was the only Englishman capable of translating À la recherche du temps perdu, objected to Scott Moncrieff’s titles. As incredible as it seems, Schiff did not realize the overall title came from Shakespeare’s sonnet, whose opening lines read: “When to the sessions of sweet silent thought/I summon up remembrance of things past. . . .” In his letter to Proust, Schiff lamented the loss of the French title’s double meaning — time wasted and lost, with its “melancholy nuance, etc.” But even more surprising, was Schiff’s total misreading of his native language; he translated Swann’s Way for Proust as “A la manière de Swann,” (In the Manner of Swann), as though that were its only possible meaning. (Schiff would later make amends and become a good friend of Scott Moncrieff’s.) Naturally, Proust, who knew something about the art of translation from his own translations of works by John Ruskin, became alarmed on reading Schiff’s reaction and his rendering of Scott Moncrieff’s titles. 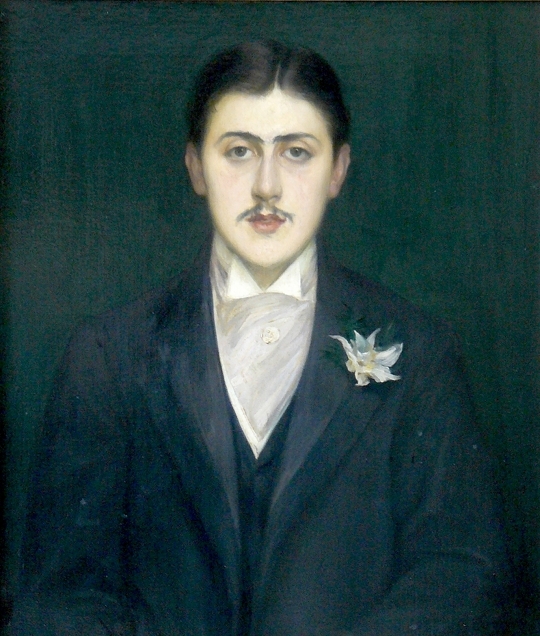 In October, Proust, who was not to live long enough to appreciate the excellence of Scott Moncrieff’s work, exchanged letters with his translator: “I was very flattered and touched by the trouble you took to translate my Swann.” Because of his terrible health, Proust said that it was a miracle he could thank Scott Moncrieff. 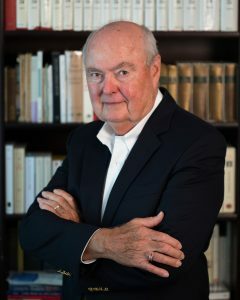 Although he had not read the entire volume, the author did have “one or two criticisms.” The first was to explain that the general title did not mean at all Remembrance of Things Past. 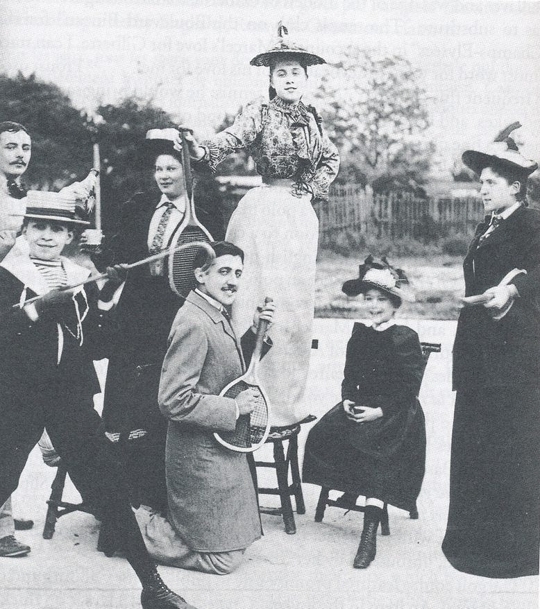 Proust regretted the omission of “Lost Time,” which “is found again at the end of the work: Time Regained. As for Swann’s Way that can mean Du côté de chez Swann, but also Swann’s manner. By adding to you would have made it all right.” Proust’s suggested correction to this last title seems to confirm the content of his next sentence in which he admitted having forgotten all his English. My dear Sir, I beg that you will allow me to thank you for your very gratifying letter in English as my knowledge of French — as you have shown me, with regard to your titles — is too imperfect, too stunted a growth for me to weave from it the chapelet that I would fain offer you. Are you still suffering — which I am very sorry to hear, and wish that my real sympathy could bring you some relief — I am making my reply to your critiques on another sheet, and by the aid of a machine which I hope you do not abominate: it is the machine on which Swann and one-third of the Jeunes Filles have been translated. Thus you can throw away this sheet unread, or keep it, or inflict it upon M. Gallimard. Charles Scott Moncrieff. Proust or someone discarded the sheet or lost it. Thus we do not know how the translator justified his choice of the general title that Schiff and Proust were the first, but far from the last, to criticize. Proust was already ill with the chest cold that would kill him in just over two months. He died on November 18, 1922. Scott Moncrieff died in 1930, at age forty, leaving untranslated the final volume Le Temps Retrouvé. His task would be completed by Sydney Schiff, writing as Stephen Hudson. Schiff dedicated his translation: “To the memory of my friend CHARLES SCOTT MONCRIEFF, Marcel Proust’s incomparable translator.” Le Temps Retrouvé had two other English translators: Andreas Mayor and Frederick A. Blossom. Marcel Proust: A Life (2013) by William C. Carter. Swann’s Way: In Search of Lost Time, Volume 1 (2013), by Marcel Proust, translated by C.K.Scott Moncrieff, edited and annotated by William C. Carter. Swann’s Way (2003), by Marcel Proust, translated by Lydia Davis. The Proust Project (2004), edited by Andre Aciman. The Collected Poems: A Dual-Language Edition with Parallel Text (2013) by Marcel Proust, edited with an introduction by Harold Augenbraum. Originally published by The Public Domain Review as part of The Open Knowledge Foundation.